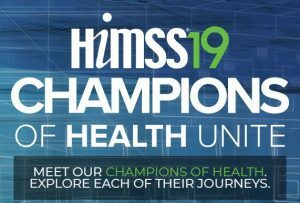 Once again, it is that time of the year for our annual pilgrimage to HIMSS. While many attendees focus on the sheer size of the exhibit hall or packing their schedule full of meetings, we wanted to highlight the other major part of the event: education sessions. Below are this year’s recommendations from the Chilmark analyst team, organized according to our domains of research. We plan to attend many of these sessions, so if you would like to meet up afterward, please feel free to email anyone on the team to coordinate meeting at the session to discuss the topic further. Why Attend: ACOs are investing in various advanced analytics solutions with mixed results. This session will explain how to use data to develop the right growth strategy and clinical pathways to truly realize the benefits of these investments in valued-based contracts. Why Attend: This session should provide ideas about the value of HIE from a payer perspective. Why Attend: This should be a good update on CommonWell, including its integration with Carequality. Hopefully, they will also talk about how TEFCA will affect both CommonWell and Carequality. Why Attend: Self-directed care management utilizing digital health apps to address chronic conditions is still in its earliest stages. This session will talk about some of the new technologies that payers are using and the strategic partnerships they are forming help payers meet the needs of their members. Why Attend: Safety-net providers have a large number of Medicaid patients that often have unique requirements. This session will address how Santa Clara Valley Health and Hospital System in CA has implemented specific strategies to address the social, clinical and behavioral needs of their high-risk Medi-Cal beneficiaries. Why Attend: Various public health systems have not been linked to primary care EHRs limiting the efforts of broader population health efforts. This session will examine some of these issues and the progress that is being made by an organization in the greater Chicago area. Why Attend: Building a population health infrastructure is a complicated endeavor that requires a different approach than provider organizations are used to since there is a focus beyond the ‘four walls’ of their facilities. This session will examine how a new ‘ecosystem’ approach for population health contrasts with the traditional ‘system of system’ approaches. Why Attend: Seema Verma, Aneesh Chopra, and Hal Wolf (moderator) will discuss how consumer-directed efforts are impacting healthcare delivery. If CMS is going to make any big announcements at HIMSS, it will be during this session. Why Attend: This session will take a look at Stanford Health Care’s efforts to use digital health to transform the patient experience across their organization. It will provide a review of what has and hasn’t worked so far as well as recommendations on how other provider organizations might learn from their experience. Why Attend: Basic primer and update on how payers are trying to delivering insights into EHRs at the point-of-care. This session will address some of the most pertinent challenges to this topic including bidirectional information exchange and provide an overview of how Humana has tried to tackle this issue to date. Why Attend: This will provide a good update on how Manifest Medex is working through the challenges of trying to create a unified patient record across a large geographic region (CA) with multiple payers and numerous providers organizations. It will also provide some insights into how this HIE is being used to support various value-based payment initiatives across California. Why Attend: The chronic usability problems of healthcare applications must be addressed. This session is about one organization that is trying to incorporated mainstream ideas for healthcare users. Why Attend: This session will provide highlights on the growing problem and specific challenges that physicians face with prior authorizations. Beyond just identifying specific challenges, this session will also provide an overview of the technology solutions to achieve higher rates of automated prior authorization. What other sessions and events are you looking forward to? Tell us in the comments below and maybe we can see you there!